Every Scottish child knows that Robert the Bruce defeated the English at the Battle of Bannockburn in 1314, thereby ensuring Scottish Independence for a time at least. The events were certainly not as shown in the film ‘Braveheart’ and again unlike certain sensational books on the Templars, one of which fails to even get the correct day and month of the battle! 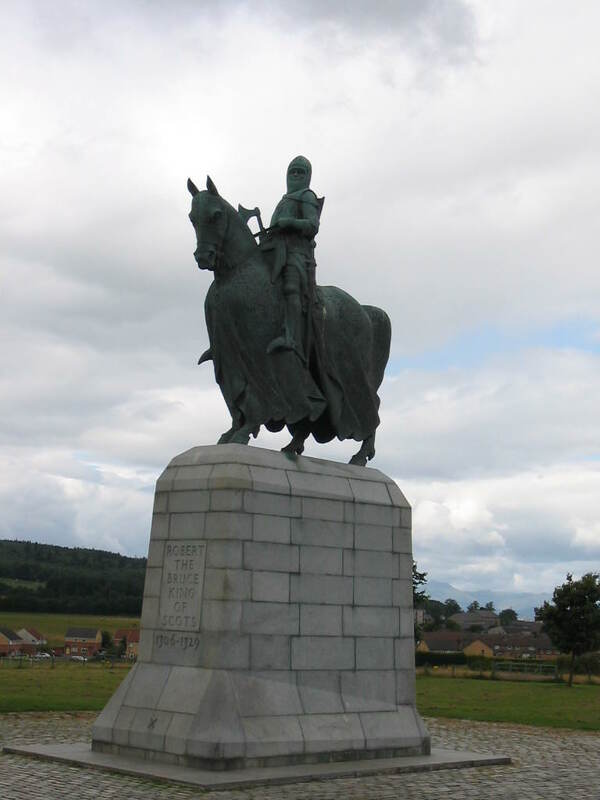 A statue of Robert de Bruce on the Battle site. It has been suggested that the Scots were hard pressed and at the point of collapse, when a fresh contingent of troops – Templar knights, arrived on the scene and swinging the balance, routed the English forces. It has proved hard to trace the origin of the claim; the oldest I believe is in an American publication from the Victorian epoch. It may however be that it originated with Chevalier Ramsay as early as 1740, but this has proved impossible to substantiate. Whilst the romantic notion of the Templars coming to the rescue is as appealing to me as to many others, the reality was probably more mundane. The baggage train arrived late on the scene, the English confused by its arrival may have mistaken if for reinforcements and panicked. I suppose caterers armed with haggis could have struck terror into the souls of the English.